Last week Brazil has decided to import robusta coffee beans after country’s robusta production were hurt due to a continuous two-year drought. But battle started to brew in Brazil for the second time in less than a year over the recent government’s decision to import robusta coffee beans. Brazil’s President Michel Temer govt took a sudden U turn on wednesday after a meeting between Antonio Imbassahy, the government minister in charge of relations with Congress, and dozens of lawmakers with ties to coffee farmers. Previously, Agriculture Minister Blairo Maggi said Imports are needed because of the scarcity of beans.He said the country lost instant coffee market share in January and February. “I respect growers, but imports are needed amid a lack of coffee in the domestic market,” Maggi said. Brazilian coffee farmers have strongly opposed the imports, concerned that imports would take over market share and possibly introduce pests that would damage Brazilian crops. The farmers also claim that there are enough local beans to meet industry demands until new supplies are available around May. Coffee processors however, say they need imports with supplies both scarce and expensive due to the recent droughts which impacted robusta yields. The president of Brazil’s top robusta grower Cooabriel, Antonio Joaquim de Souza Neto, also spoke against imports,this would discourage robusta coffee farmers from producing the bean.“Growers will convert their farms to produce pepper or raise cattle,” Neto said by phone. 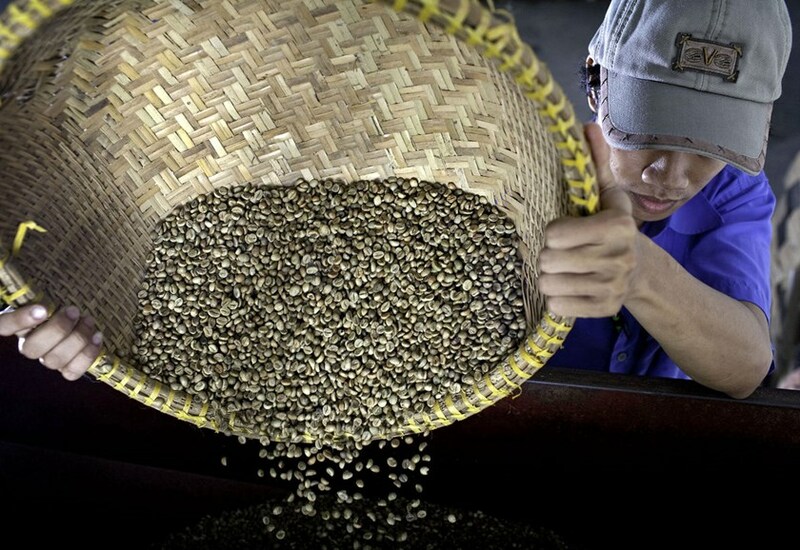 Brazil’s largest arabica-coffee cooperative Cooxupe also opposes coffee imports. According to the University of Sao Paulo’s Cepea research unit,Brazil’s Domestic robusta prices have descended rapidly at 22 percent from a record high on Nov. 14 on import talks,Since then, coffee farmers in Espirito Santo have lost 500 million reais ($161 million) of potential revenue because of the price decline, Melo said. Johannesburg-based trader I. & M. Smith Ltd. said in a report on Tuesday that uncertainty over imports could slow the pace of possible inbound purchases, once successful imports are completed, the pace could accelerate soon after. However,Robusta prices in London are up 54 percent in the last 12 months amid supply concerns, while arabica futures in New York have climbed 30 percent compared with a year ago.The drought in Brazil and challenging growing conditions in other robusta growing regions have supported global robusta prices for awhile.